Avid Media Composer. Adobe Premiere. Final Cut Pro X. DaVinci Resolve. I could debate until the end of time which piece of software is the most important to learn if you want to be a successful editor. Regardless of which NLE I believe has the most likelihood of leading you to success, I would be wrong. We are not keyboard monkeys, we are storytellers. Our ability to tell compelling and engaging stories and make an audience feel something supersedes our knowledge of any specific piece of software. Yet so many people in the post-production industry get hung up on the “hard skills” needed to climb the ladder to success. They believe if they become “Avid certified” they have a higher probability of landing the next job. But most clients, producers, and directors honestly don’t care if you’re certified or not. They care if you can tell compelling stories, move people emotionally, and deliver on deadline. And most importantly, they care whether or not they can work with you in a dark room for 60 hours a week (without you murdering each other). Of course you need to have software proficiency to get (and keep) good jobs; but once you get beyond entry-level positions, software proficiency is automatically assumed. Once you have become proficient in your NLE of choice, I suggest you stop focusing on getting 5% better at learning software and instead start focusing on the “soft skills” necessary to build meaningful relationships with people you’d like to work with for years to come. Here’s the difference between proficient editors and those who are considered “great in the room”: A good editor can often be seen as another set of hands executing notes as requested; a great editor on the other hand often becomes the #1 choice for clients, directors, and producers when they are hiring for their next project because they enjoy working with them so much in the room. If you’re interested in becoming an editor who is considered great in the room, there are only two things you have to focus on: Trust and comfort. If you can make your collaborators (clients, directors, producers, etc.) trust your creative abilities and feel comfortable working with you, you have the ability to build a referral network that will provide a safety net and ensure you always have another job lined up—without you ever having to look for work again. Yes, you can be that good. Filmmaking is messy. As editors, we have the luxury of a controlled space (usually). But when you’re a director or producer, you have to deal with every single fire that arises, whether it’s a script problem, a costume that has gone missing, a tempermental actor or actress, or studio executives emphatically demanding more results in less time (with less money). Francis Ford Coppola on the set of “Apocalypse Now”. From “Hearts of Darkness”, American Zoetrope. As an editor, I see myself as not just a creative collaborator helping to write the story one last time; I also see myself as a therapist to the directors, producers, and showrunners. After a long day of dealing with nothing but problems, my goal is for the editorial suite to function as a “Zen space” where people can decompress, share their challenges with me openly, and feel like they left my room a bit calmer, more focused, and confident the project is going to be amazing (and delivered on time). Creating this “Zen space” and serving as therapist doesn’t require a PhD in cognitive behavioral therapy. There is only one simple thing you have to do consistently to enable an environment of trust: Listen. If a director or producer rushes into your room, shuts the door in a hurry and huffs and puffs on your couch, ask them what’s wrong—and then listen. 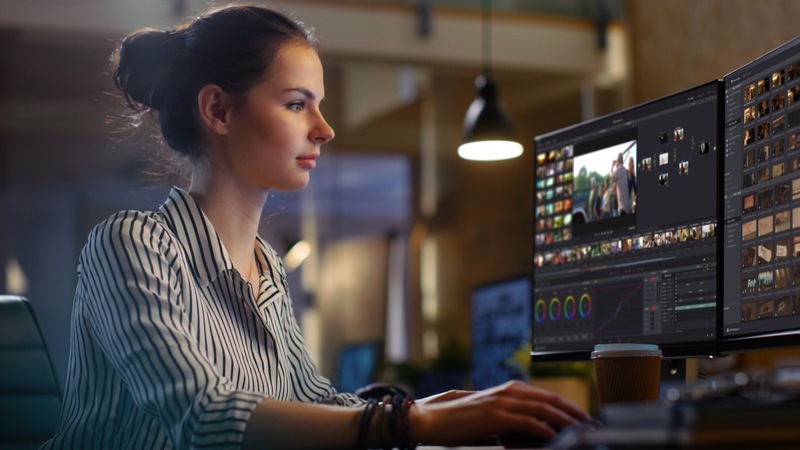 Your willingness to let collaborators unload their burdens onto you (and them knowing what is shared in your edit suite stays in your edit suite) will enable a feeling of trust that can build the foundation of a genuine and lasting relationship. Furthermore, as an editor it’s quite common to feel like a child stuck between two divorced parents. The director might say, “Do this and don’t listen to the producer,” while the producer is saying an hour later, “The director is an idiot. Just make this change and don’t tell him I told you to.” And shortly after you get a call from the studio giving you completely different notes that supercede both the director and the producer! Your job as the editor is not to take sides; your job is to show allegiance to the story and to deliver the best final product possible. Enabling trust does not require siding with one party or the other. You build trust when you function as an effective mediator and get everyone on the same page. In my edit suite, it doesn’t matter who makes a suggestion—the best idea always wins… even if it comes from the janitor. Creatives are just weird. We all have our own way of doing things, and we’re all convinced that our way is the best way. If you want to build lasting relationships with collaborators who want to work with you again and again, you have to let go of the idea that your process is the best process. Some directors want to give you a boatload of notes and let you “do your thing.” Other directors will turn your edit suite into their own personal conference room and spend days on the couch. And other directors spend twelve hours a day sitting next to you with their feet kicked up practically on top of your keyboard. When you begin working with someone you’ve never worked with before, talk with them about what they prefer, rather than assuming they want to work your way. You’ll find that, when it comes to the editorial process, even experienced directors and producers often don’t have a single way of doing things, because they often begrudgingly just do what the editor tells them to do. If you simply ask them how they’d like to work, most directors will respond with tremendous gratitude because nobody ever bothers to ask. Once you have had an honest conversation about the process you both think will work best, make sure to set clear expectations going forwards. For example, if you and your collaborator just sit down and say, “Let’s get to work,” as you hit the play button they might start giving you notes. You assume they want to do the notes right then and there so you stop playback and start making changes. Their assumption was that you would simply write down their thoughts and execute everything after they brain-dumped their notes onto you. The number one rule of post-production is: Never Assume. Talk upfront about the process and make sure you are both approaching the material from the same direction with the same expectations. This allows your collaborators to feel comfortable with you. Everyone has stupid ideas, no matter where they are in their career; and there will always be bad notes. Many long for the day when they have finally “made it” so they can work with people who know what they are doing and no longer make bad suggestions. You will be bombarded with bad ideas your entire career. Bad ideas are where great ideas begin. Your job is to help shepherd the terrible ideas down the path to becoming brilliant ones. Come out the other side wowing your collaborators with results they never expected, and they’ll trust you with any future ideas, big or small. The first step to embracing all ideas (no matter how stupid) is abolishing the phrases No, I can’t, and That won’t work from your vocabulary. The term “Grumpy Editor” exists for a reason. Ask most directors or producers to quickly describe the process of working with an editor, and there’s a good chance you’ll hear the word curmudgeon. Be willing to collaborate, listen, and embrace ideas that at first might seem completely ridiculous. As the editor, you know the material better than anyone else on your project—including the director or producer you’re working with. This is why they trust you; but this can also get you in trouble. Making the assumption that you know the material better than anyone else can very quickly lead to the assumption that you also have the best ideas for how to assemble that footage. Remember, the best idea always wins—and it might not be yours. If someone suggests that you make every character in the scene pink and put purple polka dots all over their faces, resist the urge to immediately say, “There’s no way that’s going to work (you moron).” Instead, embrace the opportunity to explore new ideas with the understanding that you’ll do everything you can to present the best version of this (awful) note. After all, you have no excuse not to, given that it costs nothing to duplicate your timeline. If you take this approach with your closest collaborators and prove to them on a regular basis that you have put 100% effort into every single one of their notes, this gives you much more license down the road to honestly say, “I don’t think that will work,” or “I tried that and it just wasn’t working.” If the person you’re working with knows you gave it everything (and you always do), they will trust you’re probably right and just move onto the next idea. Our default mode as humans is to point out problems that are obvious and provide potential solutions to fix those problems. Unfortunately, storytelling isn’t that simple. For example, a contractor who is called in to address a water leak in the ceiling has a couple of options: He can either put pots under the leak to make sure the floor doesn’t get wet; or he can go on the roof and fix the hole that’s causing the leak. Storytelling is infinitely more complex than a water leak. If a note tells you that “this scene is too slow, so let’s lift it,” the best solution might have nothing to do with this scene at all. If your gut instinct is the scene must stay, think much deeper about why someone’s first reaction is to cut the scene. Perhaps you’ve received this note because three scenes prior there is a story point that is overlooked, and without that specific story point, the intent of the scene in question is confusing. With confusion comes boredom, and with boredom comes the instinct to cut a slow scene. Enabling trust and a feeling of comfort with your fellow collaborators often requires you to think twice before executing their notes. Your default mode should not be to simply cross off each note and say, “Here. I did exactly what you asked” even if something isn’t working. Instead, take the time to dig into the larger intention of each note by asking “WHY?” When you do that, your collaborators will know that you always have one goal in mind—telling the best story possible. While some might not admit it, most people (including editors) hate sitting on a couch watching people edit. Watching someone shuttle through footage and assemble when you’re not clued into their internal thought process is akin to watching paint dry. Luckily (and unluckily) directors and producers come prepared with their smartphones and often pass the time scrolling through Instagram, Facebook, and keeping up with their email while you plod along from note to note. Your goal as an editor is to become so fast at executing their notes in the room that they never have the time to whip out their phones. My goal with every director or producer I work with is to be able to anticipate their needs, even before they say it. Then act accordingly. For example, if we’re working on a dialog scene and they’ve expressed the scene isn’t feeling “emotional enough,” I’m already thinking about multiple ways I can fix this problem. If we’re scrolling along and I’m asked to stop on a medium shot, and the person I’m working with says, “I’m thinking this shot would be more emotional if we used a close-up.” I might then follow up by saying “I’m way ahead of you. Something like this?” At this point, I’ve already queued up the close-up version of the line in question. You won’t always be right, but the more you listen and pay attention, the better you’ll get at being able to anticipate the needs of others. If a director says, “Can I take a look at the insert of the book on the table?” and it takes you five minutes to find the shot in question, you’ve lost. Know your material inside and out and use whatever organizational system you need so that all pertinent material is a single click away. Prep time at the beginning of a project can make you look like a hero down the line when there’s no room in the schedule for error. Just remember, when the smartphone comes out, it’s game over. Good editors focus on the WHAT and the HOW. They are proficient with their editing software, they execute the notes in front of them, and they service their clients’ needs with a good attitude. There is nothing wrong with being a good editor. But if you truly want to become a “Rockstar” editor, you have to be willing to dig much deeper into the WHY behind every note. 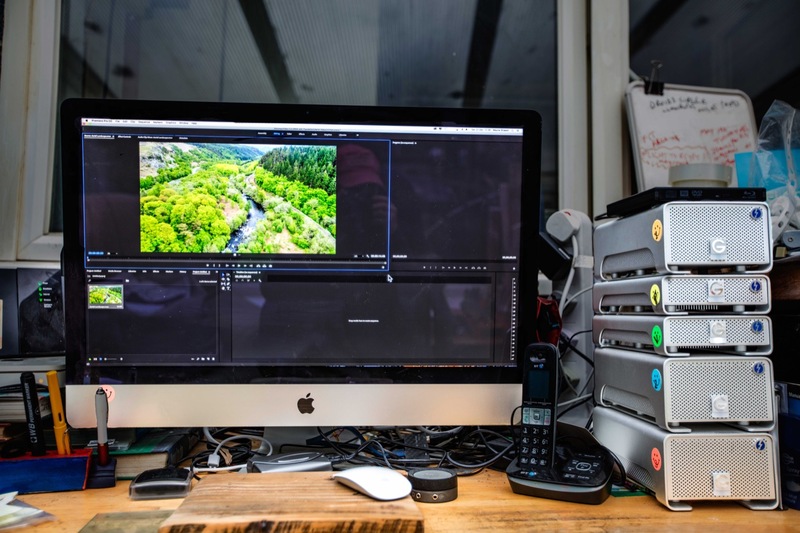 And rather than focusing all of your time and energy on just getting better at using software, you must also prioritize improving your ability to make collaborators trust you and feel comfortable with you in the edit suite.